Just look at the picture below - it looks like it was made to fit in there! 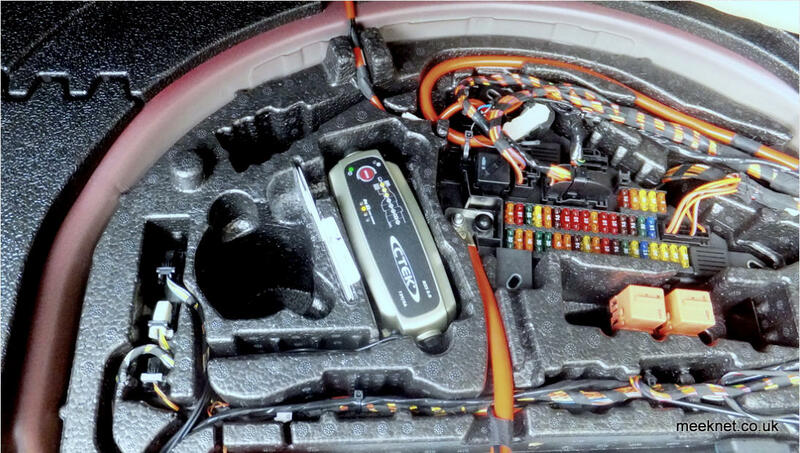 We all know that you can’t charge the battery from the boot (trunk) because this bypasses the IBS (Intelligent Battery Sensor) and the IBS will not ‘see’ the current being put into the battery - this might lead to over-charging the battery. 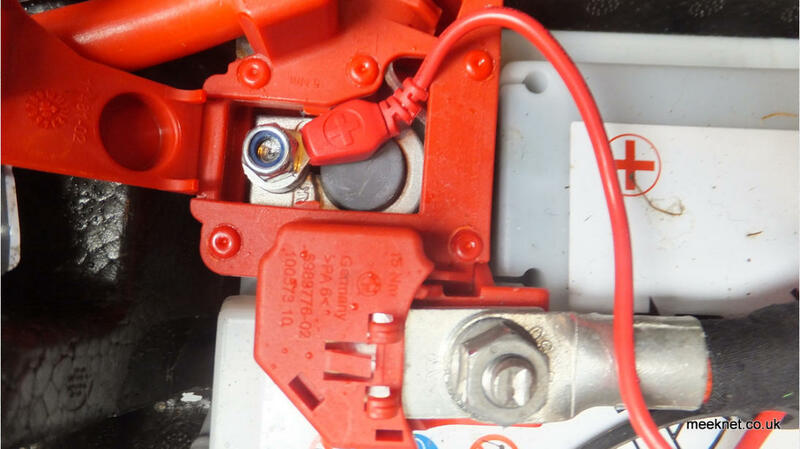 BMW Says: “Only charge the battery in the vehicle via the terminals in the engine compartment and with the engine turned off” However, the IBS sensor is fitted in SERIES with the NEGATIVE battery terminal - actually bolted to the negative terminal itself. The IBS is a mechatronic component, it serves as a mechanical fixture for the battery negative cable, and contains electronics to monitor the battery temperature, current going in and out of the battery, and the voltage of the battery itself - it measures the voltage via a light-gauge wire to the battery-positive distribution point. More info here. Now, that looks just the right size - and it certainly is, the charger just fits in the hole, and fits so well that the charger is held tightly in place. I’m sure on some models there is probably something in there, but there’s nothing in mine. I’ve sited the charger connector pair just at the side of the battery as seen below - I then tidied up the cable run back to the charger and put the excess cable under the charger where it is hidden. 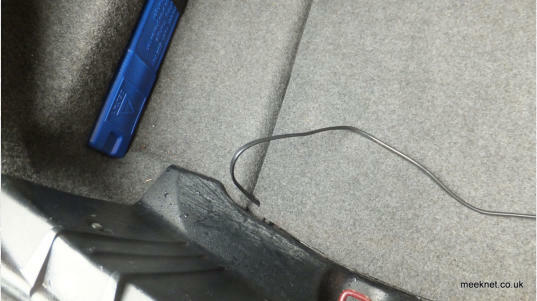 When everything looked tidy I pushed the charger further into the foam where it fits snugly - that’s not going to move! 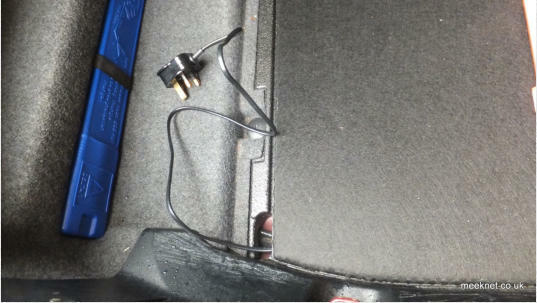 Final stage was to tie-wrap the cables into position neatly - the mains lead and plug can be routed neatly out of the compartment via the left-hand side of the cover when needed, or stored behind the battery. NOTE: The picture above shows the connector pair between the charger and the lead that goes to the battery. This caused a bit of trouble about six months later. 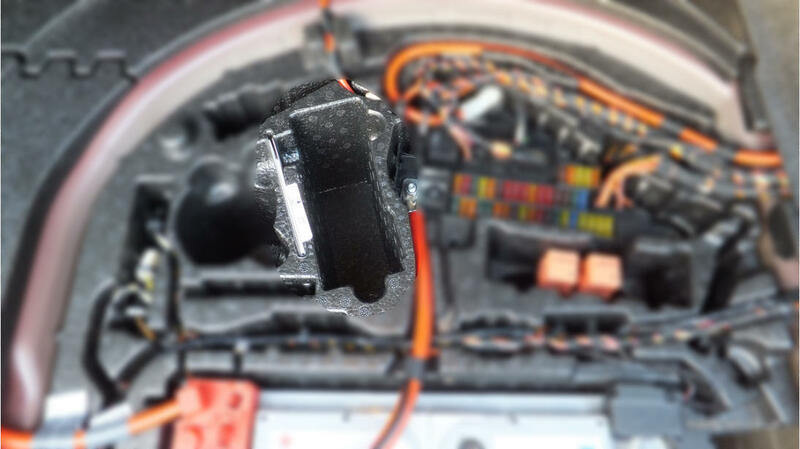 The problem was that the connector lock (shown in orange above) was being pressed by the foam - and that partially separated the connector pair causing a partial loss of connection to the battery. This heated up and damaged the socket which needed a quick squash before working again. I moved the connector pair further out to stop this happening again - lesson learned!